Great way to start your fishing vacation! Dr. Art Flippin usually spends his days in sub-zero weather working around the Arctic Circle! So, donning shorts and Hawaiian shirts is a welcome treat! 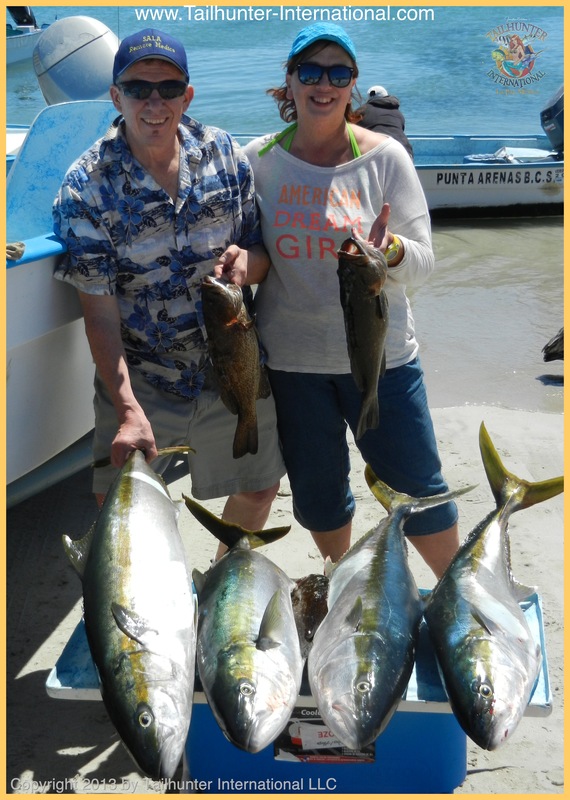 He and his Debbie Divine kicked off their vaction by jumping on some fat yellowtail near Cerralvo Island as well as a few tasty cabrilla off the reef! They’re posing here on the beach at Bahia de Los Muertos. 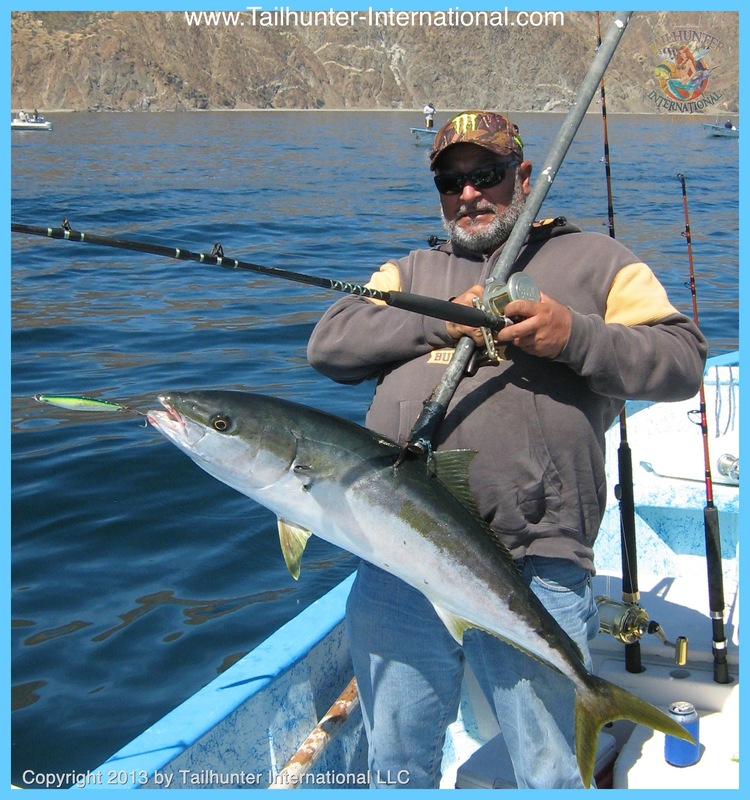 Our amigo, and former La Paz fishing champ shows hows it’s done as he does it all by himself! He hooks and fights the fish…hangs the fish…then gaffs it and brings it aboard Superman-style! We recommend you let our captains help you, but Jorge is a super-star! This is the back-side of Cerralvo Island. Not the big dorado-colored jig in the fish’s mouth and the flat waters close to shore! Art spent a few days on the water with us and shows off another nice fat yellowtail near the north point of Cerralvo. 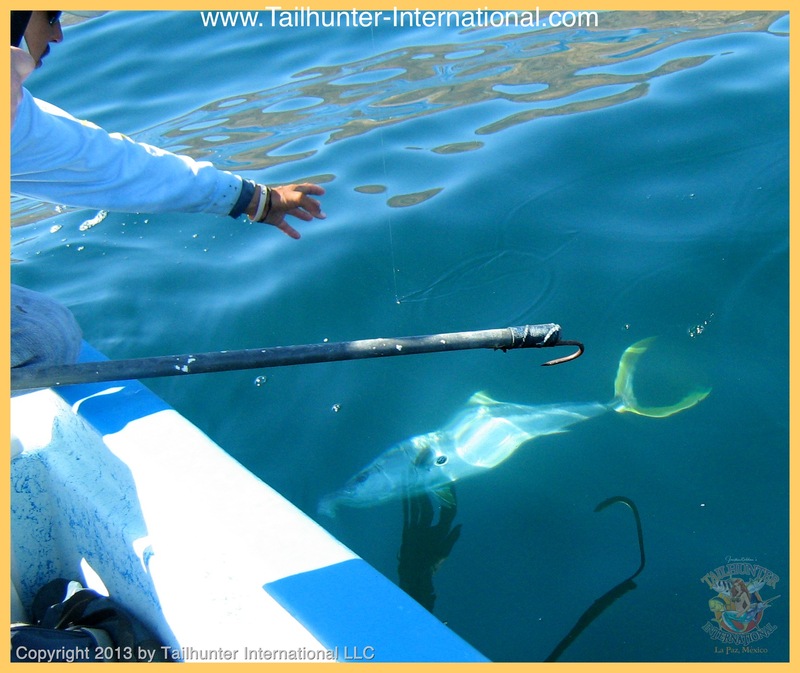 Check out the guy in the background on the bow of another panga…totally bent on another big yellowtail! Nothing quite like seeing a fish come to gaff after a long battle! Looks like another yellowtail is gonna get put in the box! Adam Toeniskoetter and his dad came down to visit us from Northern California for the first time and had 3 banner days of yellowtail fishing before the winds kicked up again mid-week. Adam poses with a hefty yellowtail. Handy to have! 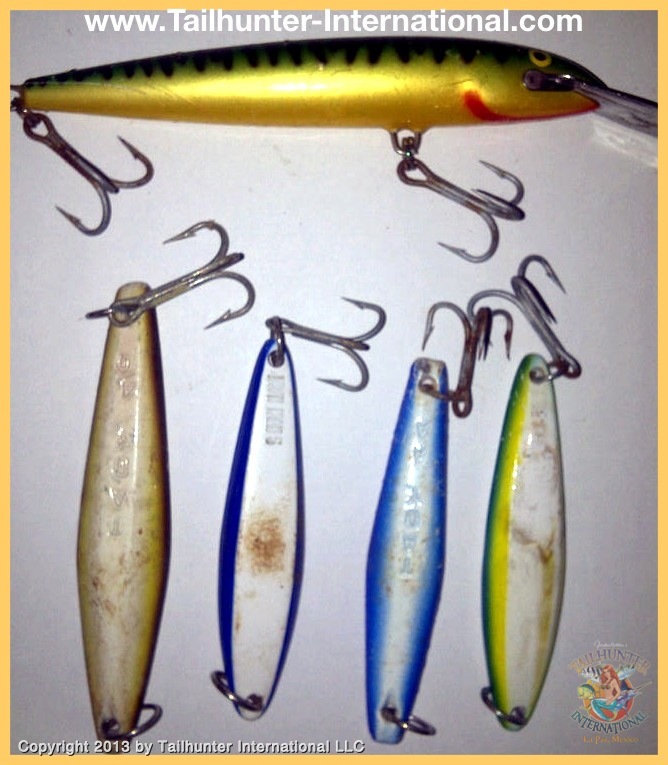 I’m getting alot of questions from guys asking what colors of lures/ iron they should bring down this time of year if the yellowtail are biting or if the bait gets scarce. Here’s a few samples I pulled from my own tackle box to show. They’re a little nicked and dinged and scraped, but that’s because they’ve been BIT! Just thought I’d throw this in. 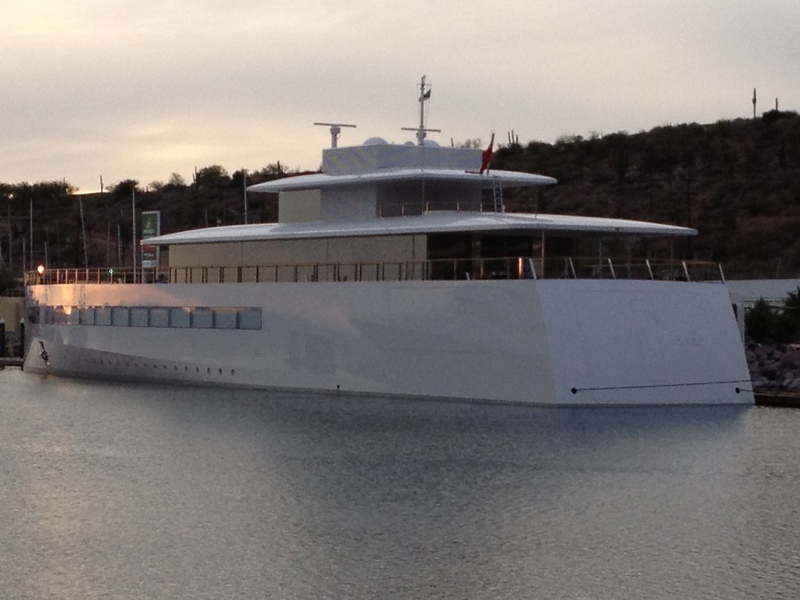 Chuck Toeniskoetter kindly sent me this photo of Steve Jobs new yacht that’s been parked in Marina Costa Baja in La Paz. This is what 140 million bucks can buy you. One amigo joked that it kinda looks like a floating iPod. It’s not the prettiest watercraft ever! But I bet if you get close enough you get free wi-fi signals! It’s probably hard to fish from! If you ever wondered…yes, whales do smile! 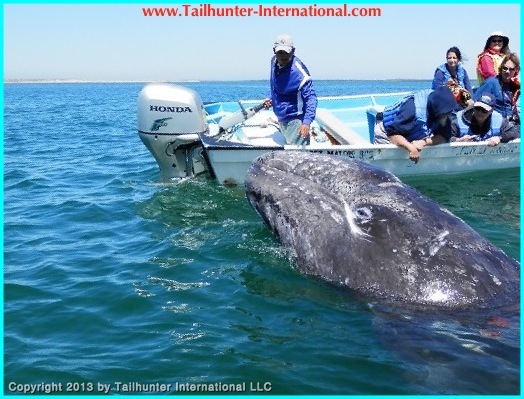 The grey whales seemed to staying around a bit longer than usual this year and our visitors had a great time with them this week getting about as close to the mom’s and calves as you could get and rubbing noses! Thanks to Debbie Divine for this photo. We’re still running daily trips to Mag Bag as long as the whales stay around! Salt Lake City you were great to us! Thanks for all the hospitality and the fantastic time at the ISE show in Sandy UT! After 3 months on the road, Jill and I finally wrap up our Tailhunter Road tour and will be in San Diego starting Wednesday to Sunday at the Del Mar Fairgrounds for the Fred Hall Fishing Show! Then we head home finally to La Paz! YELLOWTAIL SLAM MACKEREL AND IRON JIGS BACKSIDE OF CERRALVO ISLAND! It’s a good thing we didn’t have any fishing clients early in the week as the northern winds kicked in again and pretty much made it impossible to fish so just as well! However, mid-week winds kicked down a notch and like clockwork, up came the bait and so did the big horse yellowtail that have taken up residence around Cerralvo Island. Again, a good grade of 20-40 pound fish were the norm. Mackerel worked as the hot ticket, but for guys who knew how to work the iron, especially blue and white, yellow and green and scrambled egg patterns the fish were more than cooperative and produced some of the larger fish. Pangas averaged about 3-8 yellowtail each with almost as many tougher fish lost in the rocks or simply busted off…which is part of the fun. Late in the week, it’s important to note that the mackerel did get harder to locate. That’s not a good sign. So, we’re keeping an eye on that. We’ve had a great yellowtail season the last 5 weeks or so, but that was dependent on the mackerel being around. 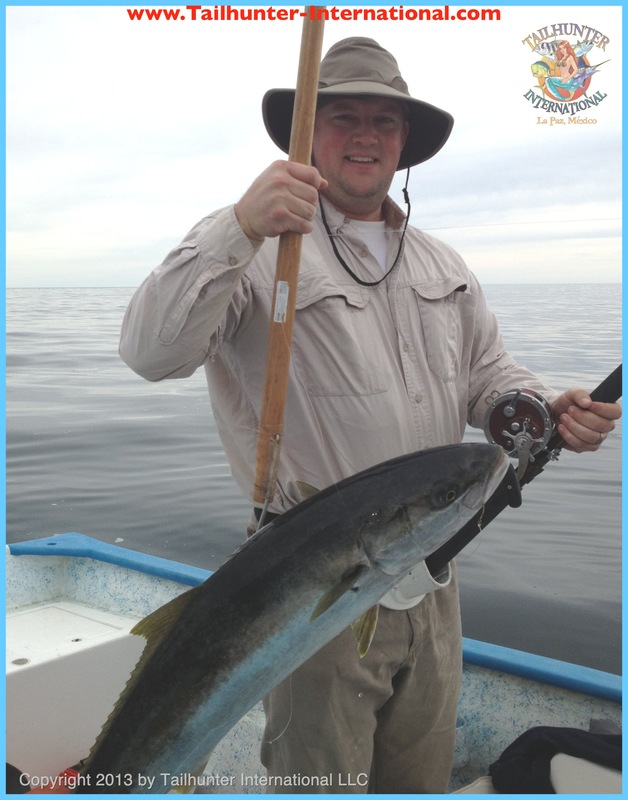 As the mackerel go so do the yellowtail so we hope the mackies don’t go…just yet! But that means that we had to work harder to get the fish especially using iron so one of those rare times when artificials are preferred over live bait simply because the live bait was hard to find, those angler who knew how to use throwing and yo-yo iron were at an advantage. The basic technique simply means dropping the lure overboard and winding like your arm is falling off as fast as you can go! 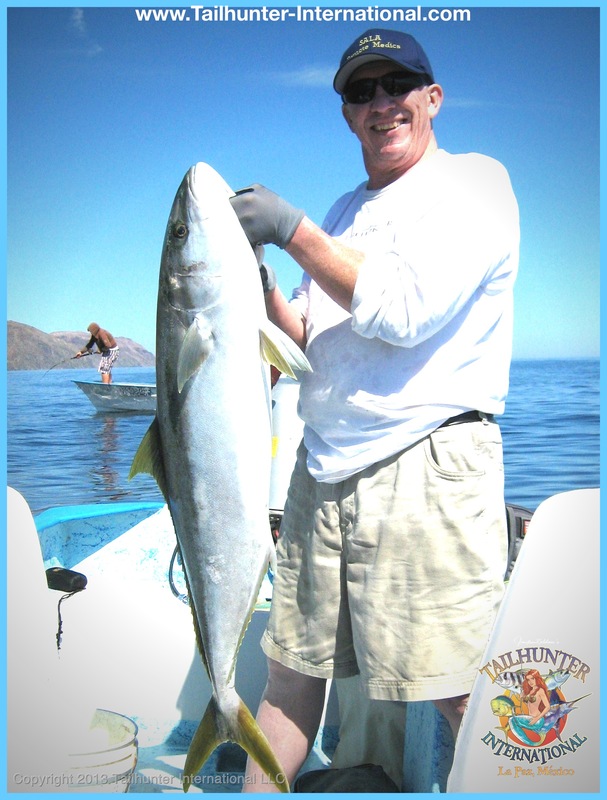 The faster you crank the better the chance of getting a big yellowtail to slam the lure. It also means that when you do have the mackerel, every one has to count! No wasting bait! Be on your “A” game! Yellowtail don’t “nibble!” The INHALE and head back to the rocks! Big 40-pound fish don’t hesitate and they’ll slam into the baits and if you’re not ready, you miss your chances! As for other species, the focus has been so intense for the last month on the big yellowtail that the other species common to this time of year are almost being ignored. Yes, there’s pargo liso in the shallows as the big mutton snapper are in the shallows for their annual spawn. There’s also cabrilla and sierra as well in the shallows and rocky areas plus we’re seeing more roosters as the weeks go on as well. 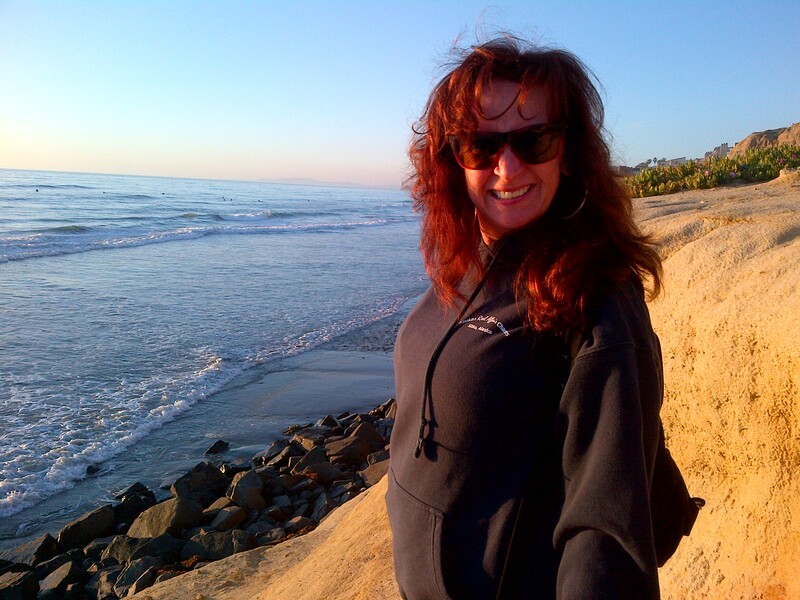 TAILHUNTER TOUR 2013 WINDS IT UP IN SAN DIEGO THIS WEEK!